You have just successfully won the lead role in the school play. You will be Dorothy in “The Wizard Of Oz”. You were the only Grade Seven student to audition for the lead role amidst a sea of Grade Nines. And you managed to get the part. You should be proud of yourself. Take a moment to bask in the glory of this achievement. Because unfortunately, you’ll soon be wishing you could click your own little ruby slippers together and be anywhere but up on that stage, rehearsing for the big performance. 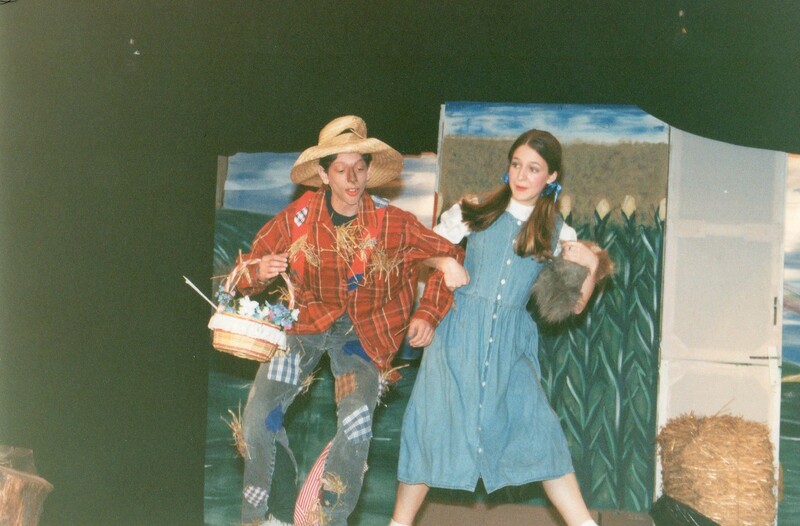 When the school play was initially announced, and you started to think about auditioning for the lead, you fantasized about how playing Dorothy would redeem yourself socially amongst your peers. After your unfortunate loss in the campaign for student council (something that we discussed in a previous letter), your circle of friends seemed to be shrinking by the minute. You desperately needed a win. Surely securing the lead role in the school play would give you some street cred. The Grade Sevens would think you were cool because you would get to hang out with the Grade Nines. The Grade Nines would think you were cool because your skill level was at par with theirs. Your popularity would skyrocket. A clear win-win. So you auditioned, sang your little heart out, and nailed “Over The Rainbow”. When the music faculty first announced the results, you alone were named Dorothy. Ripples of dissent began to reach the teaching staff. The Grade Nines were outraged that a Grade Seven was cast in the lead. A chubby, tone-deaf Grade Nine girl named Jessica W. began leading the uprising. She was mean and loud and very convincing in her argument. You were told in a meeting that there would now be two Dorothies. You would each get to do two performances. Bureaucracy at its best. You thought to yourself, “It’s not that bad. Maybe Jessica W. and I will bond over our common goal. Maybe we will encourage and learn from each other. Maybe we will become BFF’s”. Jessica W. does not. Evidently, at some point her focus shifts from being the Best Possible Dorothy to making your life A Living Hell. Every time your turn comes to practice your solo, she snickers in the background. She all but forbids the other actors from talking with you at all, outside of practicing lines. She makes fun of the costume your Mother made you. You seek sanctuary in your fellow Grade Sevens. However, they too are not pleased with your win. Having been cast as munchkins, flying monkeys and dancing trees, the other 13 year olds are feeling equally silly and insecure and are too frightened to risk associating themselves with you. You have unwittingly upset the delicate hierarchy of Windfields Junior High. There are many days where you consider dropping out of the play entirely. You auditioned for this role because you love to sing. You love to perform. And “The Wizard Of Oz” has been one of your favourite movies since you were a child. Yes, when Jessica W. snickers during your solo it breaks your heart a little. But ultimately, the joy that belting out that tune gives you trumps any negativity that she sends your way. And it’s that joy that will lead you to see your commitment through to your two big performances. You will nail them both. You will bring your Grandfather to tears. And when you look back on the experience, you will be so proud of yourself for refusing to allow an insecure, jealous Grade Nine take that joy away from you. So, my dear girl, sing your little heart out. Memorize your lines as best you can. Go to each and every rehearsal and hold your head high. Own that role, regardless of what Jessica W. or anyone else thinks. And the next time you hear someone let out a snicker during your solo, take it as a sign to sing louder. After all, when you sincerely focus on your own joy, it will always drown out the din of your critics. jealousy is the most corrosive emotion ever. good on you for rising above it! Corrosive is such a perfect word for it. So true!